This is a collection of common-sense tips, for anyone who shares space in a car with a learner driver. These simple ideas are distilled from the extensive experience of one who set out every morning to face death squarely in the face for many years sitting in the instructor's seat of a driving school car! By using the information in the main DriverActive course you can potentially save £100's on the cost of you children's driving lessons and help them to become safer drivers than they might with driving lessons alone. Far more important than saving money on lessons is the fact that Swedish research has demonstrated that the more practice learner drivers get at home, the safer they will be after passing the test. It's a tough message but with motor accidents being the single biggest killer of young people between the ages of 17 and 24 getting the right start behind the wheel is essential. The Driving and Vehicle Standards Agency say that the average learner now needs around 45 hours with an instructor and a further 22 hours additional practice. First and foremost, before going out with a learner driver, make sure that you meet the legal minimum licence requirements. Most parents will qualify with no problem - but if sisters, brothers or friends are supervising make sure they qualify. Have held a full full Great Britain (GB), Northern Ireland or European Community/European Economic Area (EC/EEA) driving licence (for the type of vehicle you are using) for a minimum of three years. The other important factor is to ensure that the car and driver are properly insured. It can be tempting to try and save money by 'fronting.' Fronting is the term used by insurance companies to describe a particular type of insurance fraud that can lead to insurance being invalid. This could lead to the insurance not paying in the event of a claim and the supervisor ending up with a criminal record. See our info about insurance here. Poor route planning will lead to the learner making mistakes that are, in reality, the fault of the supervisor - and you know how it goes... The driver starts complaining (stress) Mum or Dad shouts (stress) the car stalls and everyone gets upset! When routes are poorly planned it puts the driver under undue stress and it's virtually impossible to assess the driving accurately. There is a good chance that you will end up in an argument with the learner you are supervising or with another driver - and the possibility of an accident. It will be difficult to distinguish between those mistakes that are made because of the route 'pressure' and those which occur because of a lack of skill or understanding. Inappropriate routes will lead to lack of motivation and a slow learning rate (and lots of arguments!). 'Route planning' sounds very grand... But all it means is keep to places where the driver feels comfortable when practising. Ask for the driving instructors advice, better still, sit in the car during a driving lesson - or attend a 'supervisors class' if your local driving instructor is enterprising enough to run one. Another problem with unsuitable routes is that many of the other drivers you encounter will be unforgiving of a car displaying 'L' plates. While there is an ever present risk of 'road-rage' in these situations, perhaps the biggest problem would be the negative feelings of the learner (embarrassment after stalling, for example) which will zap confidence. If you find that you are having to spend quite a lot of time trying to prevent your learner stalling or hesitating at junctions, frightening you with their speed, or a myriad of other issues it's almost certainly because you are in the wrong place at the wrong time. Unless your learner is nearing driving test standard it would be inadvisable to venture on to busy roads in heavy traffic, for example, when kids are going to and from school. Problems will arise if insufficient time is been spent on early lessons when the learner is mastering basic control on quiet roads (or off road areas). Although you may think that it is good for motivation to drive in new and busier areas, it will invariably cause severe problems later in the training. 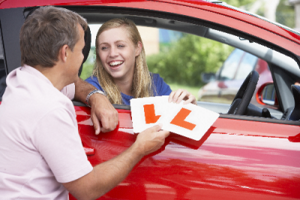 Check with your learner's driving instructor about what to do and where to do it. Make sure that the foundations are properly in place before you start to build the driver! The words that you use can make a massive difference to the way your learner responds (or doesn't respond!). Terms such as 'gently', 'slowly', 'carefully', etc., have different meanings to different people. 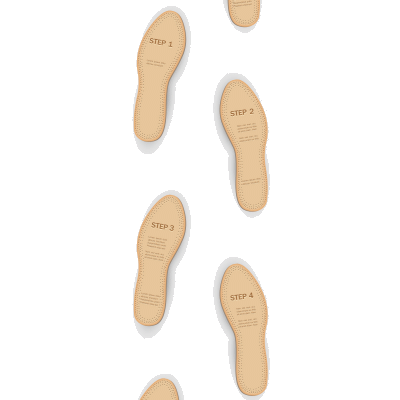 When giving instructions, you should always explain exactly what your idea of the meaning is. Doing this will prevent the potential problems that can be caused by misunderstanding. 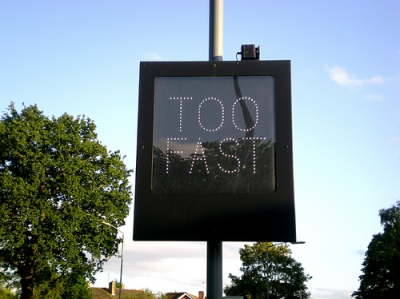 An example might be saying "Drive at 20 miles per hour" - this would be much clearer than saying "Drive slowly". Also, try to focus on the action required rather than on the desired result. If your learner panics when approaching a traffic light or other situation, screaming, "Slow Down!" is unlikely to help ... "Press the foot brake" might be more useful! Equally important is to focus on the positive - "Don't go to near to the parked cars" puts attention on the parked cars and increases the likelihood of the driver getting close. "Keep well towards the centre of the road and look well ahead" takes attention away from the parked cars and is more likely to have the desired effect. It might seem obvious - but you must stay calm when you are teaching your kids... Angry words and fights can easily lead to accidents. It's probable that you are close (emotionally) to the person you are supervising (son, daughter, wife, husband, etc.) and so will want them to do well. This caring approach can often cause frustration when you see them struggling with something that you feel should be easy. Often problems are caused by being in the wrong place - above all pay attention to the route planning advice on this page. Remembering some of the problems you had as a learner will help. Alternatively, swap places and go home. The most common driving problem that I have seen over the years, when sitting in the back (and front) of driving school cars for thousands of hours, is that new drivers approach most situations too fast. This would suggest that not enough emphasis is placed on the importance of a simple principle, 'speed before gear', when teaching a hazard routine. This is often accompanied by learners saying that "There isn't enough time to think of everything". If you are not fully familiar with the basic 'Mirrors Signal Manoeuvre' process (including 'Position, Speed and Gear') you will probably be doing more harm than good when sitting next to your novice driver... This will then cost extra time and money for professional tuition to sort out any problems. If a basic hazard routine is not 'habit', then all sorts of problems will arise later in training. You can more about using a hazard routine in various books about driving, or in detail the DriverActive course. In order to avoid the speedy problem, start by using a routine at a slow speed and then build up to normal driving speed with practice. Finally... Always be aware that the learner you are with will often not respond as quickly to situations as you do and will need to drive a bit slower to compensate. Be patient!